"I installed a copper bar sink in my bathroom. 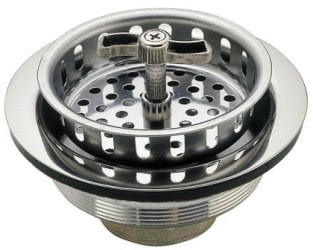 The drain opening is 2", therefore I had to use a bar sink drain. 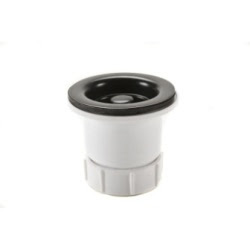 The install was a breeze, one of the simplest drains I have ever installed thank to the ease of use of the product itself and the helpful staff of Vintage Tub. Kudos to them!" 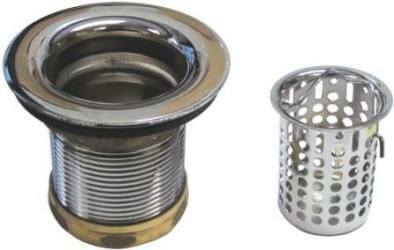 "I have been looking for months to replace my sink strainer and couldn't find the exact one until I found your web site. When I received it, it was the one I've been looking for and it fit perfectly. The only thing was, I only needed the strainer not the rest of it, but maybe someday I will. If I need another one, I'll know where to find it. The quality is excellent and it was sent when you said it would be. Thanks for keeping me updated."